We’d love your help. Let us know what’s wrong with this preview of The Weaver by Heather Kindt. Laney Holden is a freshman at Madison College whose life goes from normal to paranormal in a matter of seconds. When the antagonist in the book she’s writing shoves her down the stairs at the subway station, she learns she is a Weaver. Weavers bridge the narrow gap between fantasy and real Most writers choose the endings to their stories . . . most writers are not Weavers. 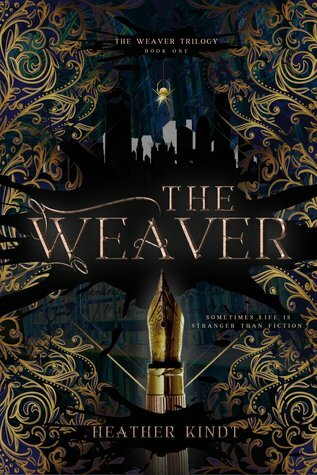 To ask other readers questions about The Weaver, please sign up. It was my privilege to read an advance copy of The Weaver, and let me tell you - when great ideas meet interesting characters and a terrific writing style, a good time is had by all. I enjoyed Heather Kindt's earlier book, Ruby Slips and Poker Chips IMMENSELY. This book is very different from that one, but readers who enjoyed one will enjoy the other. This is a creative idea executed with skill, an amazing journey you'll love.